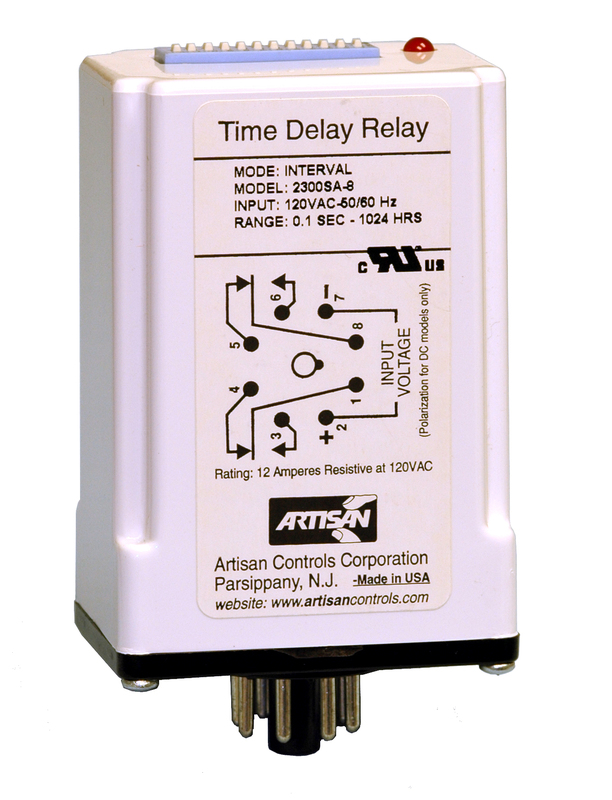 The 2410SA is a delay on make timer controlling a DPDT set of relay contacts. The 2410SA is available in a range of both AC and DC models. With operating voltage applied, the timer starts the time delay. At the end of the timing period the output relay energizes. The 12 position DIP switches allow for selection of time range and time period. Adjustable Timing Ranges 0.1 - 102.4 seconds, 1 - 1024 seconds, 1 - 1024 minutes, 1 - 1024 hours.